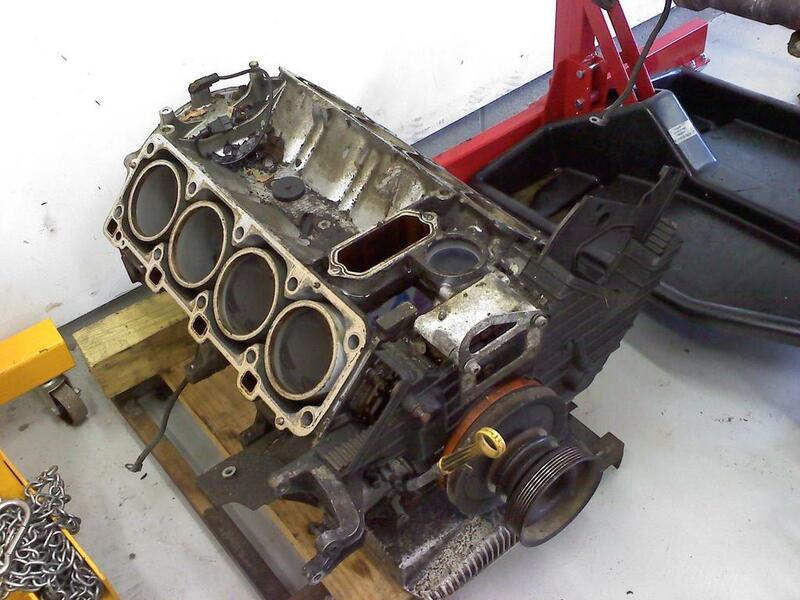 I've got a 5.0L short block that I pulled out of my running MY87 S4. Car ran fine but had high miles (200k). Compression numbers as follows (1-8): 220, 215, 170, 190, 170, 185, 172, 190. Cylinder walls look good. Surely someone can use this motor, great starting point for a project or run it as-is. Local pick-up only (for now...). PM if interested. Block numbers: M28/42 81H 07399 High production number, sorry guys - no squirter here. People will ask you what year S4 its from. 15 seconds with Brake cleaner and a paper towel will reveal an engine serial number that might ignite lots of speculation about whether it's a squirter block and then some hot 'n heavy PM'ing with offers, if it is. And now that you have said its an 87, people will want to know what number. All 87s have the better rods and the thicker pistons. come out of an automatic or manual? So shipping is not possible? I am talking within the US. bump - additional detail added. Why was the engine pulled? Offering it to the local guys first to avoid having to ship this boat anchor... if no one takes it I'll have no choice but to ship it. My 928 track project has benifited from many parts that I pulled off this '87, but the engine is not needed. I was going to hold on to the block but decided not to store it... so off she goes. The heads are currently on eBay as we speak.